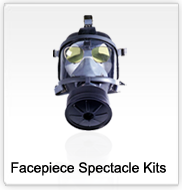 Wide, Unobstructed Field of Vision – Custom engineered; sized, shaped and angled for each facepiece enhancing confidence, safety and job performance. 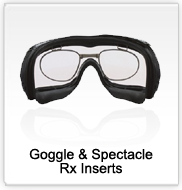 User Satisfaction – An Rx insert as visually comfortable to see through as a standard prescription eyeglass frame. 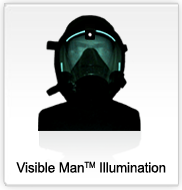 Improve Spatial Awareness – Military Tested Luminescence with patented in-mask firefighter illumination. 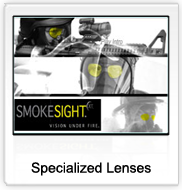 SMOKESIGHT XT, MSL & TCR Lenses – Can enhance visual contrast and sharpen the wearer’s perception; speeding up reaction time and clarifying judgment. “Your glasses are at our training facility. The respirator trainers have been showing them in all of their classes. The response has been very favorable”….